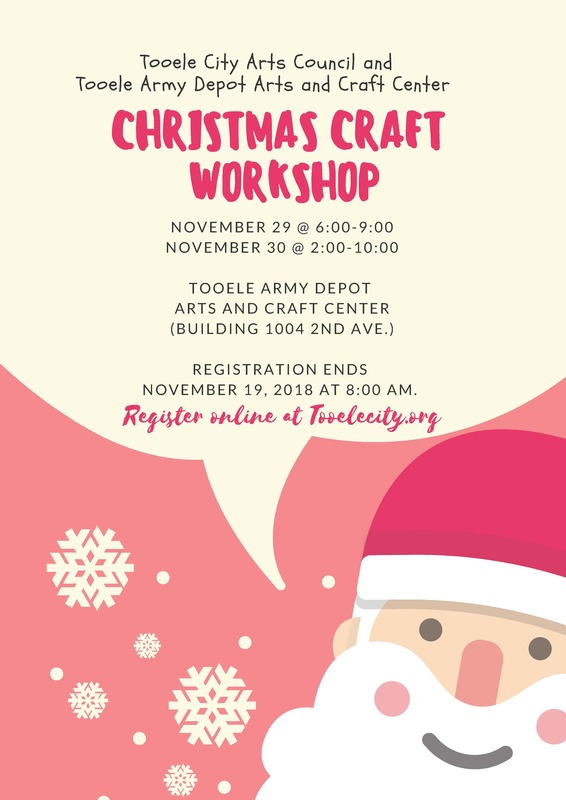 Join us for our Christmas Craft Workshop on Thursday, November 29, 2018 and Friday, November 30, 2018 at the Tooele Army Depot Arts & Craft Center. For ages 14 years and older. Registration ends Monday, November 19, 2018 at 8:00 a.m.